The Environmental Protection Agency (EPA) Mission Statement is clear: To clean up the environment and protect human health. The question is: Are they really doing that for the people of the Silver Valley? The Bunker Hill Superfund site is the largest lead superfund site in the nation. Nationwide, billions of dollars have been spent to clean up the environment. How much of that money has been spent in the Silver Valley is questionable. Children and families are being exploited as exposures to lead continue in their homes. “Ethical Issues in Using Children’s Blood Lead Levels as a Remedial Action Objective” Johns Hopkins University, 2011 (in addition to 90 pags of titles of health studies conducted by ATSDR and other health agencies). Recontamination is taking place in a major way with temporary toxic waste dumps. Repositories are being built along the banks of the Coeur d’Alene River and communities, some in actual flood plains.The most notorious is the Old Mission Repository (see picture below), an old Mission of the Sacred Heart, which is a National Historic Landmark. It leached more than 160 metric tons of lead in one day of flooding downstream. US/GS Spokesman Review, March 24, 2011. According to additional documentation: “There are no appropriate repositories to hold proposed amounts of excavated materials and establishing them in the basin will probably be extremely difficult. Furthermore, the potential long term effectiveness of proposed remedial actions is severely limited by frequent flooding events in the basin and their potential to re-contaminate remediated areas with contaminated sediments.” National Academy of Science Study. Yet, flooding apparently received little attention to EPA’s selection of remedies. Lead exposures in homes/yards of the epicenter of Bunker Hill Superfund Site: Lead levels in 13 checked homes range from 780-18,293 ppm. EPA’s scientific threshold for lead in yards is 400 ppm. This is documented in a critical evaluation of public health programs at the Bunker Hill Superfund Site by Dr. John Rosen, respected international lead/environmental pediatrician who spent years assisting children, families and reaching out to medical professionals. Door mat lead levels in a public housing complex measured in 2014 was 1,590 ppm and where yards have been remediated 3 times (lead testing results provided by Panhandle Health District). Nothing has been done to remove lead in the interior of homes. Digging up yards and transporting to toxic waste dumps is not working. What needs to happen? What can I do? Join affected citizens who are calling for the closure of the Old Mission Repository and the use of available permanent waste technologies. A significant portion of the $700,000,000 EPA controls of the settlement funds should be set aside locally for the Silver Valley Community Resource Center to oversee and establish a Community Lead Health clinic, professionally staffed and free to local residents impacted by this disaster. 80% of this community would make use of such a community health clinic, according to the Silver Valley Community Resource Center community health survey findings, AP, 2003. Demand EPA to stop polarizing the community (observation of EPA National Environmental Justice representative) Example: the decision to allocate $50,000,000 settlement funds for road repairs (as an enticement for support). Find out what more you can do to stop this injustice! Our children are our greatest natural resources and are just as important as road repairs and mitigated land! Children Run Better Unleaded! Visit http://silvervalleyaction.com/ for more information. 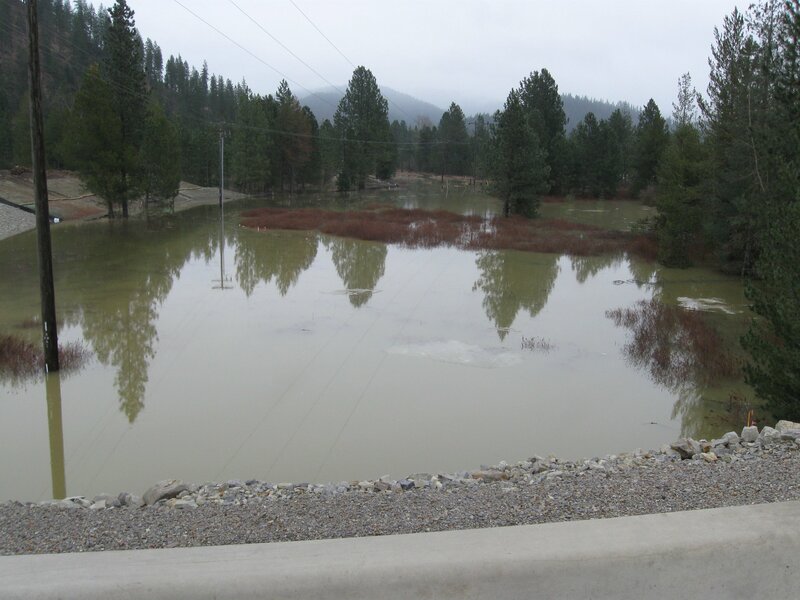 Flooding continues to show that the Mission Repository is a failure.